Emory Parnell (December 29, 1892 â€“ June 22, 1979) was an American vaudeville performer and actor who appeared in over 250 films in his 36-year career. He was nicknamed "The Big Swede" and was sometimes credited as "Emery" or "Parnel". Seeking better opportunities in Hollywood, Parnell and his wife moved to Los Angeles, California, where, helped by his red-faced Irish look of frustration, he immediately began to appear in films in a variety of role, such as policemen, doormen, landlords, and small town businessmen. One of his first films was Doctor Rhythm (1938). Although his appearances were often in "B" films, such as the Ma and Pa Kettle series, he also made credible showings in "A" films as well. One notable part was as a Paramount studio executive who sang about avoiding libel suits to open 1941's Louisiana Purchase. Parnell was also part of writer-director Preston Sturges' unofficial "stock company" of character actors in the 1940s, appearing in five of Sturges' films, including The Miracle of Morgan's Creek, where he played the crooked banker, "Mr. Tuerck", the chief antagonist of William Demarest's "Constable Kockenlocker". 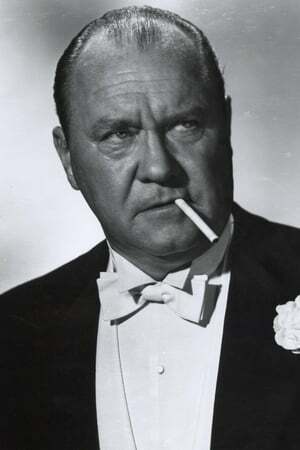 He also made a memorable appearance as grumpy socialite Ajax Bullion in the Three Stooges short subject All the World's a Stooge.